Ari Law attorneys focus on small business, litigation, intellectual property, contract and defense. Located in the financial district of San Francisco, they serve the entire Bay area as well as numerous other locations, including China. Ali Aalaei, the Principal of the firm, noticed a discrepancy between the number of calls directed to the firm by a referral agency and the number of calls that the firm was registering. 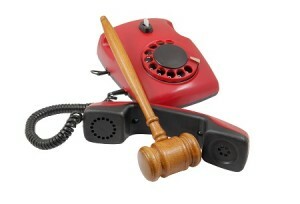 The referral agency indicated that they were missing three to five calls a week. Mr. Aalaei and his colleagues were shocked by the realization that they were losing potential business. This prompted further investigation into the customer experience of a caller to the firm. Looking into this matter more closely, the attorneys at the firm determined that after hours, when their receptionist had left for the day, all calls would go to voicemail after eight rings or a total of 32 seconds. Many callers became frustrated and simply hung up. Plus, their many international callers had no desire to waste nearly a minute waiting for the phone to pick up, only to transfer them to voicemail. Ari Law determined they needed to dramatically change their phone handling procedures so that all clients had a much more satisfying experience. When searching for a suitable solution, the firm determined that they needed a system that worked with the existing PBX system, answered calls with a human touch, and accounted for the security of their clients. Small law firm improves customer experience. Halloo’s virtual phone system with integrated contact management was the best solution for Ari Law. With Halloo, they were able to set up a unique number to be used on the website, in e-mails and on business cards. This provided many benefits including being able to track the statistics of calls and interactions with the live receptionist. Halloo’s phone system also gave them the ability to loop multiple people onto a single call with the instant conferencing features. Ari Law took the new number and routed it to their traditional office line, giving them the use of multiple extensions and enhanced voicemail. With these features, voicemails received through their office line would not only appear on their Halloo Dashboard, but also be sent securely to their e-mail so they were immediately alerted to the missed call when they opened their Inbox. By incorporating call forwarding, Ari Law provided their clients the option of selecting a lawyer’s extension, which would then forward to their cell phone, allowing the client to reach their lawyer outside of the office. This entry was posted in Customer Service, Halloo, Virtual Phone Systems and tagged call forwarding, find me follow me, instant conferencing, live receptionist, voicemail by daniel. Bookmark the permalink.